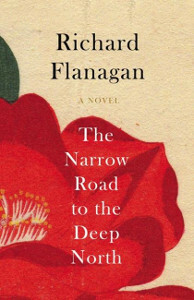 The Narrow Road to the Deep North tells the story of Dorrigo Evans, an Australian doctor haunted by memories of a love affair with his uncle’s wife and of his subsequent experiences as a prisoner of war. Post-war, he finds his growing celebrity as a war hero at odds with his sense of his own failings and guilt. Taking its title from 17th century haiku poet matsou Basho famous haibun best known in English as The Narrow Road to the Deep North, the novel is epic in form and chronicles an Australian century, with one horrific day at its heart on the Burma Railways in August 1943. As that day builds to its climax, the novel grows to encompass the post-war lives of Japanese and Korean prison guards as well as Australian far east prisoners . The novel deals both with the effects of war and the many forms of love.